Cons: Gantt charts are still in need of a lot of work and help. Still buggy, no user-defined view preferences can be saved. Overall: We implemented Mavenlink specifically to disabuse our organization of several disparate systems we were using for tracking time, task-level project management, and reporting on specific measurements/metrics like utilization, margin and capacity saturation so that we could improve operational efficiencies. We've found that the tool is very flexible, has some great native reporting capabilities that become exceptional when coupled with the Business Insights add-on, it integrates well to SalesForce, it has given us a much better ability to manage projects for clients as well as internal product development projects, and it provides us with much better capabilities toward planning organizational growth and managing to margin at the business unit level down to the project level. While there are still some glitches/issues with the Gantt views, and there are still things we wish it did better, Mavenlink has proven itself to be an exceptionally valuable (and very cost-effective) management tool; the company is consistently providing updates that are meaningful and adding value with subsequent releases that clearly indicate a willingness to listen to the voice of the customer in new feature requests. Overall, I'm personally very impressed with the software, given my team's requirements and unique operational environment. Recommendations to other buyers: If you're not a particularly mature organization in terms of Project Management and governance, I highly recommend sitting down with Mavenlink's consultants and getting help with establishment of best practices and setting up your instance on the basis of those best practices and resulting workflow. Don't thwart your own efforts by simply applying the same flawed processes into a new tool. Pros: - So many options and ways to customise each feature - Time tracking tool is very easy to use, our team prefers it over what we have had in the past - Custom reporting, especially weekly project reports, have upped our client communication game. Our Clients appreciate the extra level of transparency and it has helped us prevent a lot of surprises when the invoice is sent out. - Resource Allocation and Gantt chart really help when it comes to Project Planning. Cons: - It's really difficult to see WHO is responsible for a task if multiple people are assigned to it. This is a problem when you are looking at a project and want to see who is responsible for what from 30,000 feet. Instead, you need to go to that specific task and read through the comments to see where it stands. There are a few workarounds for it, but then all involved extra work and monitoring to make sure everyone using the system is doing so correctly. - There doesn't seem to be a way to edit a comment once you post it - You can't customise the status options for the different tasks, so something is either in progress, not started, needs information, or completed. It doesn't really let you customise it to follow your workflows. Recommendations to other buyers: Take your time when setting up your account and do some planning in terms of how you want to use the platform. There are so many different options and ways to customise it that you might get overwhelmed. Also, do a lot of training with your team as well as offer how-to content to your customers using it. That way everyone is using it the same way and you do not need to go back and double check so that you can run certain reports. Comments: I have been using Mavenlink as the primary account administrator for two different companies over the course of four years. The suite has proven to be an integral tool in my everyday professional life within the Marketing industry. It allows my teams to see only what they need to primarily be involved with for any particular day and clears away other clutter they may not be associated with. However, most importantly, it allows many different views when it comes to upcoming work capacity and profitability. This is the feature we were primarily after when signing up for Mavenlink. The instant-update gantt charts allow us to see both all of our current projects and each individual project. 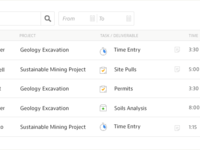 This, in addition to the robust resource management tools that are constantly being improved, as enabled our Production team to kick project input and scheduling into overdrive! Our Copy and Design teams love the real-time proofing module as well. The comparison tools are really slick. Cons: There is an intermediate learning curve and may come across as immediately complex to the uninitiated creative. However, 10-15 minutes of poking around and taking advantage of the learning tools and startup tutorials offered by Mavenlink's stellar customer service program will address this minor concern. Mavenlink is a fantastically powerful information source, and with that power comes some proper approach and learning. It's all intuitive, though! Pros: We have only been using Mavenlink for a little over 3 month and have already started to see visibility and transparency across the organisation. Mavenlink Insights and analytics reports provide the company with a holistic view of all projects and accounts. We are now easily able to identity project metrics and figures without all of the manual collation and reconciliation which takes an enormous amount of time. Mavenlink have been extremely helpful and accommodating to get us to this point with help of the guys from the MavenOps Program. The 3 months of MavenOps has been fantastic as the team who have been working with us are always willing to help and offer suggestions. Mavenlink were very responsive to our requirements and always willing to help and provide alternate solutions or workarounds if system could meet the requirements. Additionally MavenOps were very quick at turning around reports that we requested. The reports were completely customised to our needs. If a feature could not be achieved the company can submit a "feature request" which means there is a chance that feature can be built later down the track. Mavenlinks 24/7 chat support has also been fantastic in helping the wider organisation with any questions. Overall the software is great but the level of support really helps to lift the product and the overall engagement. Cons: Given we are an Australian based company there are a few things within the software which are set for the US, for example the date is in the wrong sequence and data refreshes happen at awkward times. These are only minor and don't stop us from achieving our main objectives. It would be helpful to have a little more control over these settings. It would be also good for Super Admin users to have a greater level of visibility. At present even admin need to be invited to a project to view the tasks and approve time etc. It would be helpful for Super Admin users to have this level of visibility with having to rely on a project lead to invite them to a project. Recommendations to other buyers: I would highly recommend the software and the service. Advise I would give would be for the purchasing company to determine their objectives internally before articulating requirements to Mavenlink to ensure the original vision is not lost sight of. Mavenlink will work best if everyone is using the system consistently. Pros: The activity dashboard is the best part of Mavenlink. A feed that allows you to keep track of official communications and notes is perfect, plus it keeps clients involved. The API is also very strong and allows us to generate reports FAR beyond what is offered by Mavenlink. Our ability to manage projects and people has greatly increased due to the features that have been implemented since we switched to Mavenlink. Cons: The Gantt chart needs a lot of work. The interface is slow and clunky, plus it is not a great view for the executives and sponsors, visually speaking. The purpose of this chart is not really to "manage" the project, but instead show a high level overview of everything. There is currently no great way to show this to execs and sponsors. There needs to be a better mobile experience as well. We need a fully functional way to log time, complete tasks, post activity and generally manage projects from Android and iOS. Overall: Our overall experience has been wonderful over the past few years. We were able to enable our PM team to become more metrics and data-driven, expanding their capabilities. Change Orders are a big business process that we solved by using Mavenlink. Approval and communication have been GREATLY streamlined! Before, we were managing change orders through written communication and supporting documentation, but now we are able to have the discussion in project meetings, then pass through the Change Order approval as a budget change and there is an affirmative action on their part. It's great! Pros: Coming from a large tech company, we built most of our project applications in house. After starting with a small business back in November, I spent my first couple of weeks finding the right tool to fit the projects that we manage. Most of the tools we found had something we liked and a lot that was overkill for a small company like us. Mavenlink has several product offerings that cater to different-sized businesses. For example, a lot of other products have an 'enterprise edition' that is expensive for only 3-5 users and is overkill (employee timesheets, etc), however, if we were to downgrade to their lower edition we would lose project essential tools like time-tracking and budget management. Mavenlink's 'professional' offering has everything we need aside from an appointment calendar. However it does integrate with my Google calendar! 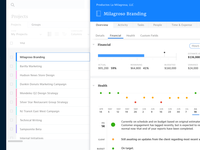 As a small company, we are able to assign out tasks and see where the project stands at every moment with budget tracking, time tracking, and current priority. Their chat support is also very helpful. Cons: The fact that you cannot pay month-to-month and have to commit to a year is a bit disheartening for a small company, but we spent lots of time trying it out to make sure it's what we wanted and it has been great so far. I was also disappointed/ confused on the way their users work. You pay for a set amount of users, however, you can add outside users to individual projects as a part of the company and they have access to track time, etc. When we asked support about this they seemed very confused and told us we'd have to pay for more users so we stopped doing that. However, I don't think we'd actually be charged if we did it that way since those 'users' on individual projects don't show up under the user management section. Recommendations to other buyers: Take your time and really utilize each trial to figure out what works best for you and what your have to haves are. I have other companies try to convince me that I didn't need budget tracking when we are a company that bills based on time. If you know what works for your company, you'll have a better chance at finding it. Don't skimp on the smaller apps just because they're cheap -- you'll be disappointed in the end. Comments: Used Wrike for ~8 months and moved to Mavenlink over a year ago. In write you can't track time and expenses. The wrike issue tracking isn't great too. Before moving to Mavenlink, I looked at ~12+ project management tools. It's a pain to move platforms. So we didn't want to make the wrong move. There are so many tools out there. For us, a big priority was being able to track time and projects all in one place. Mavenlink does that and more. It's an awesome tool esp. for design teams and if a lot of your team is virtual. Pros: - Time tracking integration. Don't have to use a third party tool. - Smart project task management. - Easy to track if "to do" is a "task" or an "issue" (very helpful for website projects where you have a TON of issues to deal with). - Easy to move tasks around and see the overall items you're working on. - Google docs integration. - You can track conversations all in one feed-- on more email. - You can respond via email. Cons: - So many features. I don't use all of them. - They add on cool features... but want you to pay for them. - Expensive -- but worth it when you're managing a team and don't want to login to a ton of applications. - No dropbox integration. - Takes awhile to get used too. - You can't rename the issue or task items. For example, sometimes I want to change the status title from "needs info" to "client review" -- and I can't edit the status (I could do this in Wrike). Recommendations to other buyers: - If you're tech savvy, I won't pay for the demo upgrades - Good tool if you have a team to manage and if you manage a lot of details. - Good if your team is virtual or mostly digital. - Not ideal for ppl who aren't tech savvy. Pros: Mavenlink allows for our team to easily collaborate on projects from beginning to end. We can cater our tasks to our specific needs and show the progress along the way for everyone to see. The updates that are sent via email keep me on track with the numerous projects I have at hand. The time tracking integration is beneficial to us when we are working with outside clients. This function is simple to use! Cons: I find it difficult to access archived projects when I need to refer back to them. It appears that you need to know the exact title of the project in order to search it. Even though the time tracking function is simple to use, I do wish I could pause my time on one project without tracking it and move to another project where I start tracking time as well. I feel that I have to submit small increments of time often because I cannot do this. Overall: Mavenlink has allowed us to track everything coming in and out of our department on a daily, monthly and yearly basis. This has shown the demand for our services and how well we manage our time with this demands. We are also able to easily invite those outside of our department to join in and collaborate, which has simplified our daily request process. Everything can be found in one place. Pros: The application is very stable and you will find a lot of features to work with. In comparison to other tools, the features provided are more advanced and data-driven with high emphasis on metrics. I just love the dashboard, it helps you to keep track of all the official meetings and interactions and with mavenlink, you can build superb reports. It helps in collaborating with tasks from start to end of each project. You can set updates as notifications to your mail id, so you would get to know of the status o different projects. We can set these notifications for clients too, so they would get to know the proceedings and status o each task.If you hate opening multiple tabs like me, you can use this Gantt chart tool which I should say is the best feature! Cons: One of the biggest turn off is that we take a lot of time to get started with the system like to set up and install. The date has been set in US formats which had been an issue to us, hope they do something about it. I found it really difficult to trace back archived projects cause you have to know the exact name of the respective project to get them traced back! Pros: I love the way Mavenlink automates communication as the project moves on down through the workflow. By using dependency arrows on the gantt chart, our creatives are automatically notified when their tasks are ready to start. It's pretty slick! Cons: How unforgiving the gantt chart is. I realize it's web-based in a browser, but it really needs an "undo" button. Overall: We took on Mavenlink when we needed a 50,000 foot view of our department's capacity. The levels of organization that Mavenlink has brought our team's creatives have gone way beyond our expectations. People know exactly what they need to be working on when they come in in the morning. Plus, it allows us to monitor our team's capacity so we know when we need to add more than one creative to a job or even gives us backup when we need to prove why we need to hire more staff. Recommendations to other buyers: If you're looking for that 50,000 foot view of your team's current workload and future capacity to take on more work, then Mavenlink will do a great job of that for you. Also, if you have processes that you do over and over the same way each time, Mavenlink makes scheduling them a snap. Pros: Ease of use and communication. The ability to start threads regarding specific tasks, upload/share google docs, post messages that also go to email, etc. has been critical to successfully completing projects. Cons: The only dislike I have is that I cannot push a change across multiple projects at one time. We use templates for almost every project we launch. Sometimes those templates get updated and those changes need to be applied to current projects. Overall: We use Mavenlink to project management all new school openings and are now starting to use it for all of our large national events. Mavenlink has definitely helped us open more schools worldwide efficiently and effectively. Pros: simple to you use, assigning tasks, creating templates, mobile friendly, integration with google apps. Cons: not much we can think of. Overall: We've been utilizing mavenlink for over 4 years and I have nothing but great things to say it. They've come a long way from 4 years ago and there's been many updates and improvements that pretty much covers everything you would need in order to manage any projects with team members across the globe or locally. It's a very robust solution that makes things easier to communicate with team members, assign tasks, dead lines, create templates for projects and even involve your client to review the progress and comment. It also intergerates with Google Apps which is great and you can easily sync your tasks on to your google calendar and attach email communications. Recommendations to other buyers: take some time and learn all the features because it pretty much covers everything you would need to manage large or small projects with two or hundred team members. Pros: When a client assigns a project to our team we add a new page to our Mavenlink platform and share that with client and all the team members who will be working on the project. Clients can see updates, modifications and even daily reports. Our team don't have to update each time with the client or send them an email at the end of each day. Even if a client has different projects, they will see it on different pages which avoids confusion. The Gantt charts are the best feature included to avoid keeping multiple tabs open. Cons: One of the main cons is that it will take considerably more time setting everything up. One has to dedicate for at least 4-5 hours to learn everything pretty well. The date format is given only in US standard and troubled us a lot in the beginning. Pros: Absolute perfect customer support. We have put resource planning somewhere easily accessible for the whole company. Even before Mavenlink, we had Microsoft Project for this, and it was not as easy-to-use as Mavenlink. The support we've gotten from the Mavenlink team is awesome. Whether it's getting questions answered, prioritising potential feature enhancements, or giving feedback on the product road map . I always know that our voice will be heard and considered. Cons: Everything is fine, it is just we use custom fields on almost all tasks we create, so when created templates with these task lists because we re-use a lot of the same tasks. Unfortunately, templates do not save custom fields so we've had to add these each time we apply a template. It could be improved. Overall: Our organisation has been able to streamline a group of integrated teams into a well structured project management tool. It's helped to track our progress in many ongoing projects. It made the team fulfil tasks faster. Pros: Mavenlink has a user-friendly, intuitive interface that enables our consultants to enter their time and expenses quickly and easily. It's integration with Quickbooks allows us to import data from Mavenlink into the appropriate income and cost categories saving time from doing it manually. 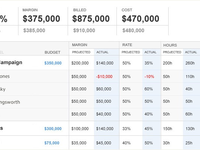 We also love the Master Planning feature to get a better handle on our backlog and revenue forecasting as well as resource utilization. This ties into the Analytics reporting feature that gives us the information critical to decision-making. Lastly, the application is continually upgraded with new features based on user input including ours. Cons: There's not much to dislike. I'd like to see a more robust file storage capability so our clients can access documents through a tiered folder structure. I'd like to see the Analytics reports and invoices have the added capability for customization. Recommendations to other buyers: Give it a test run before implementing it to ensure it meets your needs. Make sure to get your questions answered by one of Mavenlink's expert, have your Super Admin get trained on all of Mavenlink's features, decide how it should be configured for your business, and train, train, train your users to utilize the software's full capabilities. Pros: The ability to keep up with each individual project, its tasks and subtasks and everything else involved, without worrying about it getting lost in our Google Drive or desktops. It's a good place to store information, communicate with coworkers, and stay up-to-date on the project's status. Cons: The recurring projects (which make up about 75% of our company) sometimes have trouble repeating correctly each month. The dates will be off and we have to go in and manually adjust a few things, which isn't a huge deal but it's an inconvenience that we'd prefer to avoid. Overall: I love having Mavenlink as our project management system. It's much more efficient and user-friendly than the system we used before, and they seem to always be improving it which is good to know from the user point of view. Comments: Since our startup we've used basic spreadsheet tools to capture and analyze data. It was possible to generate project metrics and profitability, but the process was cumbersome. That information is just a click away now. We've also eliminated much of the possibility of our employees entering time to the wrong codes with the task assignment functions. Pros: Our organization includes some office staff, but is mostly made up of remote employees on our client's project sites. Mavenlink has given us a great tool for communicating with our team, as well as capturing time and expense entries via the Cloud. Our employees really like the interface and the ability to log time and expense from their mobile devices. Also, we've found the online workspace to be of great value in transmitting and archiving information and files. Our implementation included support from Laura Pierce and her BIASS team. Laura led us thru integrating our processes with the capabilities of the tool via a weekly meeting. Action items were identified and quickly addressed. Laura was always there to assist with answering questions and being a sounding board for my ideas. It was also a neat experience to have the BIASS team use the Mavenlink tool to setup and manage the BIASS project. Cons: Most of the opportunities I see with the tool could be considered enhancements to the time and expense processing function and invoicing processes. These include: * More flexibility in the Admin's abilities to review, edit and approve project charges in the invoicing cycle would be helpful. *The ability to provide greater detail of expense charges on the invoice (which is a current action item with Mavenlink for us), and * The ability to push transactions that are not time and expense entries, such as taxes, unit bill amounts, etc. to QuickBooks would be helpful. Comments: The only things I would need Mavenlink to add is as follows: -Have some sort of instant messaging service between members on a project. -Allow us to private more than one person when sending messages using m.mavenlink.com. -Have a real app that we can download from PlayStore/ Windows App Store or any other app store so we can use the full functionality of Mavenlink through the app -Also in the future, we could have some sort of video conferencing ability for persons on a project to have virtual meetings. That would be a dream! Pros: It allows my colleagues in different countries to be kept up to date on different aspects of the various projects. Cons: No instant messaging. App needs to available on Windows store/Playstore/other popular app stores so we can use Mavenlink on our smartphones. Comments: Mavenlink would be an outstanding solution for anyone in need of organizational assistance. It's flexible enough to meet unique requirements, yet robust in ways that allow for in-depth project management. Cons: Beginners may be overwhelmed with so many options and use-cases. However, the organization of tools and the vast availability of features and documentation help the user establish their own workflow that fits their unique individual needs. Pros: Our team loves the amount of perspectives Mavenlink affords us when we need to gauge our incoming work and available resource capacities. The easy to operate Task Lists give our Creatives clear information when it comes time every morning to quickly get to work and know what is important and what can wait. The drag-and-drop gantt charts make scheduling and adjusting projects quick work for our Production team. Cons: Given how powerful the suite is, it might come across at first to the unseasoned Creative as slightly overwhelming. Though, this feeling is quickly surpassed by empowerment once they understand how intuitive the UI/UX is. Comments: When my team began a search for a new project management and resource management tool we were replacing a file based process, which meant that project information was all over the place. Since we've implemented Mavenlink we've enjoyed a HUGE improvement in team members and senior managers knowing exactly where to find the status of a project, what tasks people are working on, how the budget is burning, etc., all in real time. Pros: Staff Resourcing - Mavenlink is the only product we found that realizes how important resource planning is to a service company. With Master Planning and scheduled hrs we have added visibility and granularity into our resourcing plans that wasn't possible with our old MS Project based process. Mavenlink is also focused on improving this area even more in 2016, which I am very excited about. Project Planning - By introducing Mavenlink Templates into our Project Management processes, we've been able to standardize project plans and also make them easier to create. Partnership - Throughout my engagement with Mavenlink I have felt connected to their team and like my company was a partner rather than just another sale. They are always available to answer questions and ask for feedback about upcoming features that will benefit us. Cons: We would really benefit from the addition of a view only user role for senior management, so we didn't need to manually add them to all projects. I would also really value some more search filter options on many pages and including search parameters into the URL so a specific search can be shared. Pros: Since I was hired a little more than a year ago, Mavenlink has been an integral part of how my team and I work on projects. 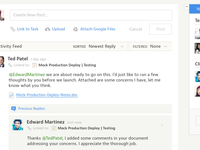 Mavenlink's built-in modules have made it easy for team members to leave feedback on project deliverables. The platform also provides an archive of project deliverables, making it easy for team members to upload and download any given aspect of a job, from images to text documents. Mavenlink's task tracker also helps team members prioritize and stay on schedule. I would highly recommend Mavenlink for any digital marketing group. Cons: Trying to find something I dislike about Mavenlink is actually sort of a challenge. Email notifications can get to be a little much, but those can be adjusted in users' profile settings. Comments: When I started my new job as Project Director at Primitive Spark, we had a variety of systems for managing our clients and operations, but most were not connected. After researching a ton of project management tools, we found Mavenlink to be as robust as we needed it to be without being overwhelming. The quick snapshots of the Analytics reports let you know if you're on track while the trends that are pulled from the Insights are very powerful to help us manage and course correct our estimate, resourcing and burn rate. Onboarding was easy and I always felt I had the support needed. So happy to have a single tool to help me do my job successfully. 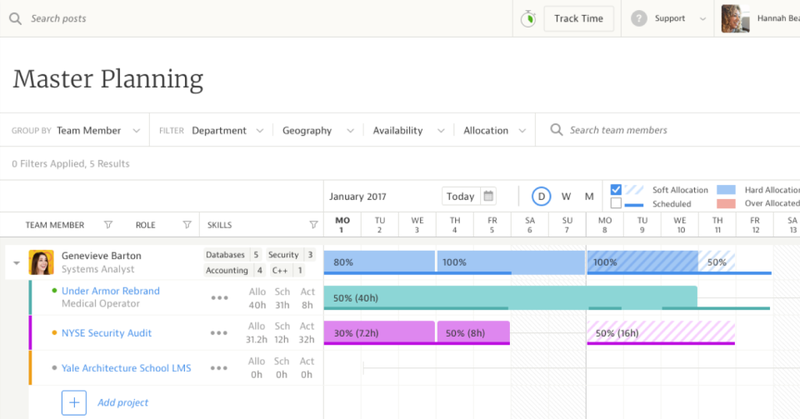 Cons: The Gantt chart is slow to load when you have a large project plan, there is no in tool estimate feature really that is comprehensive, there are workarounds, but would love to see that added. Recommendations to other buyers: Great for a small-medium sized company. Really simple to use and support is great. 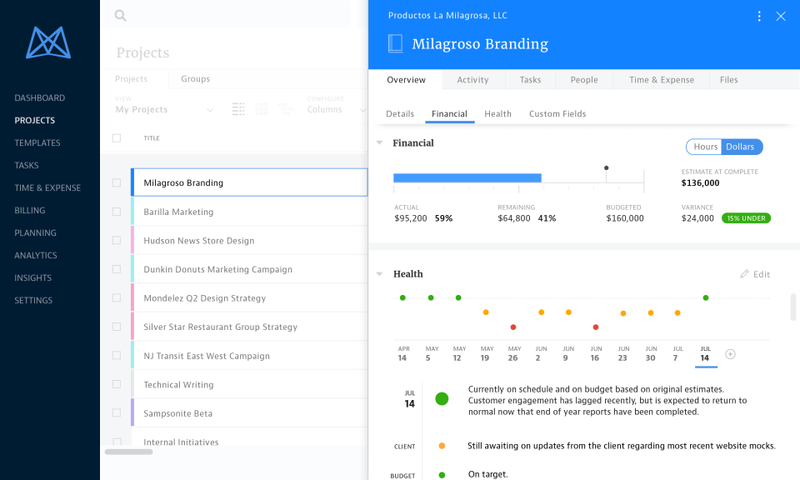 This allows me to manage my team and my company's profits through easy-to-use dashboards to understand what's going on at a project level as well as companywide. I no longer feel like I'm throwing a dart in the dark. Take Mavenlink to combine all your project management and financial information into one tool, you'll be happy you did. Comments: Mavenlink is pretty awesome! Though it can seem a bit pricey, the tool itself covers a wide array of what our company needs on a daily basis: from project management to billing integration with our Quickbooks. When it comes customer service, you can get ahold of chat service within seconds any day or time of the week. Recommendations to other buyers: Mavenlink can be a "be all" solution for nearly any business. From project management to invoicing, it just works! Pros: Mavenlink strikes the perfect balance between robustness and ease of use. Project management is absolutely essential to our business so it's important that we're given the tools necessary to effectively manage projects. However, vast tool sets typically come tethered with the disadvantage of cumbersome and/or difficult functionality. Mavenlink has navigated this issue masterfully and provides a tool that is powerful and yet intuitive and easy to use. I'm also very impressed with their constant push for improvement. We have been using Mavenlink for a year and a half and have found that they are constantly pushing out new updates, upgrades, features, etc. They take user recommendations and requests seriously and strive to make their product better on an ongoing basis, which is not an easy task when your product is pretty solid to begin with. Cons: I would love to see recurring project management integrated with the tool, both from an invoicing standpoint and a task management standpoint. I believe this is on the horizon but hasn't rolled out yet. Recommendations to other buyers: Use the project workspace! That's what sold us on Mavenlink. You can jump on a call, do the demo process with salespeople, and still walk away knowing little more than you did before the call. I believe that to be true for every SaaS product. The features are only as important as they apply to your business. Try the demo! Sign up and use it, I think you'll be pretty surprised at how Mavenlink's environment can be customized to suit your needs and workflow. Pros: Mavenlink is easy to use and fairly intuitive. We've had no problems with the software and they are making monthly updates to add new and useful features based on customer feedback. Project tracking is the primary reason we use Mavenlink and our workflow has never been better. I really don't know how we managed without Mavenlink before. Cons: The main issue we are having with this software currently is when it comes to deadlines changing. At this time you can update the project deadline but non of the project related tasks will readjust to the updated deadline. Overall: Mavenlink is a wonderful software to use if you are looking for an easy-to-use project management tool. Cons: -custom reporting is complicated. Highly recommend the Mavenlink Business Intelligence solutions training for a good understanding of custom reporting capabilities. Comments: I spent a lot of time setting searching for a project management tool that worked well within our company, gave us all the information we were looking for, was easy to work with, looked good and didn't force us to change our existing processes and ways of doing things. Mavenlink was the only software that even came close to our needs and since we started using it, it has really changed things around for our company. Thanks to all the information & financial insights that Mavenlink delivers, we are finally able to make decisions that are based on facts instead of gut feeling. Pros: Mavenlink is very user-friendly and made it really easy for us to introduce the software to our staff. All information is kept in one place, which makes information-sharing much easier and everyone on the project has a better and more realistic idea of timelines, deliverables, allocated time etc. The support and customer service has been excellent so far, so a big thank you to Vanessa! The live chat is very useful and I also love that Mavenlink listens to its clients' feedback and uses their experience to improve the functionality. Cons: The integration with Quickbooks UK is still very basic so we can't really make use of it at the moment. The time tracking could also be simplified as it can get a bit confusing. Cons: The main con is that it's very expensive compared to very similar tools (that are arguably better performing). You have to pay for every user (even freelancers), which doesn't make sense in today's market. The design is a bit behind many competitors like Teamwork and Asana. Pros: Does exactly what it sets out to achieve - provides a collaborative project management environment that hits all the right buttons. It has improved our project control and reporting and allowed us to engage our Clients. We stopped using Clarizen as soon as we found Mavenlink and are now weening ourselves and our clients off Basecamp. Mavenlink covers both deep PM features and functionality with an ease of use that allows clients to see what is happening without need to get involved with the 'how'. Whilst the product isn't 100% perfect - it is heads above other products that I have used and reviewed. Cons: Needs a company/team calendar function. You need to be able to block out users absence / holidays / etc. easily - and Mavenlink doesn't handle that without having to set up an 'absence' project. GANTT / Project views - need to be able to save your views. Recommendations to other buyers: Whilst getting to some of the functionality is not obvious to start with - I have found that 99% of the time it exists - and when you do find it (or the Live Chat points you in the right direction) then you think - OK that's actually obvious..... so if you take a trial - take the time to find out how to use it properly. It is one of the best products I've used over the last 30 years. I find Mavenlink to be intuitive and rich in interesting features! Pros: I like that I can create templates for projects and groupings of tasks. I also like that I can export just about any information I need to an Excel spreadsheet/CSV file. Cons: I don't like the automatic update to move a date out in Gantt view when I'm trying to create a dependency for a task following a task before it that occurs on the same day. It's pretty annoying. Overall: This has streamlined project management within our agency, and made us more efficient with our time dedicated to project planning. Mavenlink has changed our business! Pros: Mavenlink is very user-friendly and made it really easy for us to introduce the software to our staff. All information is kept in one place, which makes information-sharing much easier and everyone on the project has a better and more realistic idea of timelines, deliverables, allocated time etc. Mavenlink has really helped us to improve our time-keeping and get a better idea of the time that our staff actually spends on completing specific tasks. The financial overview on all our projects has also proven to be very useful. Recommendations to other buyers: I spent a lot of time setting searching for a project management tool that worked well within our company, gave us all the information we were looking for, was easy to work with, looked good and didn't force us to change our existing processes and ways of doing things. Mavenlink was the only software that even came close to our needs and since we started using it, it has really changed things around for our company. Thanks to all the information & financial insights that Mavenlink delivers, we are finally able to make decisions that are based on facts instead of gut feeling. Pros: Clean look and feel. Cons: It's not as user-friendly as I would like. I wish it was easier to be reminded about tasks. I'm new to the software so there is still a lot that I have left to learn. Pros: Mavenlink is super easy to use and integrates well with our workflow. The software is much more powerful than our previous project management software without much added complexity. We are a small agency with a backlog, so the utilization and planning portions of the software help out immensely. I also like that the product integrates with Google Apps, and the chrome web extension is helpful as well. The company continues to better the product. We've had the software for less than 6 months, and they've already made two updates with new/better features. Cons: A lot of this stuff is just being picky, but: the mobile version of the site is usable, but not as intuitive as the desktop version. As far as I know there is no native mobile app. There are several times where you jump from one screen to another when it would be nice if you could record data directly on the current screen (time tracking for example). Some features seem like they should go together but are not necessarily interconnected (task estimates and scheduling for utilization would be an example). I wish user permissions were a bit more fine-grained. Recommendations to other buyers: Definitely try out the trials if available. Spend the time to put a real project into the system and see how it works. A lot of the time, the demos looked slick, especially when run by a salesperson. You really don't get into the details of how features work and whether or not the software will ease into your workflow with just a demo. In our experience, none of these software packages are a 100% fit for our needs. We picked the one that was 90% and figured out workarounds for the other 10%. Comments: Mavenlink is a great tool if it makes sense for your company's budget. I'm not part of the decision making about purchases so I can't speak to the cost, but it seems mid level compared to some other PM tools. Pros: Mavenlink is great for collaborative work and is very easy to use. I picked it up right away as a new hire and rely on it to communicate with members of my team at all stages of project management from initial concepting through the review and launch process. I absolutely love it for time tracking so I can see which projects I spend the most time on. Cons: It would be nice if Mavenlink had a mobile app with push notifications. As far as I know, it has a mobile optimized version of the web for use on the go, but a dedicated app would be great. Pros: The Dashboard and project spaces are clean and intuitive - they provide us with a clear way to manage our projects - we make great use of the project health checks and project insights for our weekly and monthly reporting. Overall: I would recommend the tool, its provided us with a really useful platform to provide greater control over our projects. Pros: Adding projects to Mavenlink is easy and can be done relatively quickly. Adding users and assigning their roles is also fast and easy. I can then invite users to individual projects that they are involved in, while keeping them off projects they're not. This helps reduce confusion for all parties and simplifies their view able project lists. Cons: It is expensive for small businesses like ours to maintain after the initial discounted year. Larger companies will likely benefit from volume licensing, unfortunately that's not available for us. We have been very impressed with Mavenlink so far. As an agile consulting company, we need flexible and responsive business systems to stay ahead of our competition. Comments: This is far more than a project management app. This is a complete enterprise management platform. Pros: Mavenlink provides an off the shelf cloud based business operations system that complements our business model well. We took advantage of the MavenOPs onboarding support feature as well and have been very well supported as we transition our current systems and projects into Mavenlink. Its ease of use, comprehensive support and economic price point delivers a comprehensive enterprise planning and reporting suite at a fraction of the costs of larger (more cumbersome) systems. The level of support from the Mavenlink team is really impressive. Cons: I would like to be able to white label email notifications and organic Xero integration but when weighed up with the pros these fade into irrelevance. And that is saying something for us as we rely so much on integration. Comments: My company of ~150 reached its tipping point with project managers keeping .mpp projects plans in a file system. Our Traffic Manager was managing resourcing in another separate .mpp, so we had a very difficult time with capacity planning and could not interact well with our data. Mavenlink has hugely improved this with its reporting, resource management, project planning, and time tracking all in one system. We are very pleased with our implementation of this! 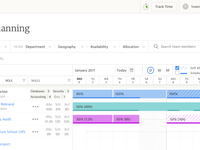 Pros: - Ability to compare scheduled hours to actual hours - Robust reporting, both custom and out of the box options - Interactive Gantt - Easy to link conversation to project tasks - Flexible project templates for team re-use - Custom fields - Amazingly supportive Mavenlink team!! Cons: While these are my biggest cons, I also know there's improvements on the way: - Building a project plan takes a little getting used to if you're a diehard Microsoft Project person. - Timer doesn't allow you to switch between tasks very easily. - Can't easily export project plan or Gantt in a nice view. We tried at least three other PSA and PPM tools and Mavenlink provided the best value. Their support and training programs have been outstanding even compare to some big brand names in the tech industry. Overall: Employee and project time and budget management. This has saved our company so much time in project management overhead. Pros: Intuitive - it's relatively easy to learn and manipulate according to my needs. I have several different views for quick access to the information I need on each project. The communication features with coworkers is also a plus! Cons: The only thing that bugs me right now is that it's a bit cumbersome to find historical data in the tasks. I have to scroll through a lot to find it. Cons: - Limited export compatibility with quickbooks Canada. - Limited customization. - Would be better with additional child task levels. Pros: We really enjoy this app and being able to look up her assignment for the week, to communicate with the teacher with any questions, having the ability to upload video or pictures. Overall: I am able to see everything my daughter is working in at her music school and have a way to communicate directly with her teacher with any questions over assignments. It is a safe, secure wa to communication. Pros: The solution is clearly valuable. It increases our team efficiency, improves quality of time tracking, and makes data for decision making by managers more organized and accessible. Cons: One of their greatest strengths can also be a weakness. They continually roll out meaningful upgrades. My experience is they are well tested, but sometimes the changes require people to adapt to a new way of accessing the same information. You need to be willing to adapt with it. You could not write a manual on how to use mavenlink and think it will stay up to date. Recommendations to other buyers: Start with evaluating what the 2-3 core features are that are a must have for your business/team. Determine which applications to consider and assess them based on usability of those features so you know that you break-even and gain value on your investment quickly. Pros: Our team used it to track complicated software projects which had many different contractors. It seamlessly integrated into Quickbooks which made invoicing and billing easy. I liked the different permission levels we could offer to our various users (clients, consultants, devs, etc). Cons: There are a lot of different features which means there is a learning curve. The layout is intuitive but it will take some time to become comfortable. Overall: It simplified our workflow and allowed us to keep projects moving forward. Would recommend for project based businesses. Pros: The reporting that the software provided was very valuable to our team as we were able to gauge the success rate of projects as they were proceeding through the various steps. Knowing how many were in the Green as opposed to the Red was valuable information. Cons: Our team had a tough time getting used to the time tracking aspects compared to the previous software that was used. Didn't seem to be a natural transition so there were still errors weeks & months after switching over. Pros: Integrates with Google Chrome via an add-on that lets you enter time directly to a project from a side window without having to go directly to Mavenlink's website. It also simplifies the time entry process by creating weekly time cards so you can view all of your projects for that time period. Their customer support quickly responds to support tickets and queries. Cons: The project management component feels...unfinished. It just feels slapped together, but very dated. 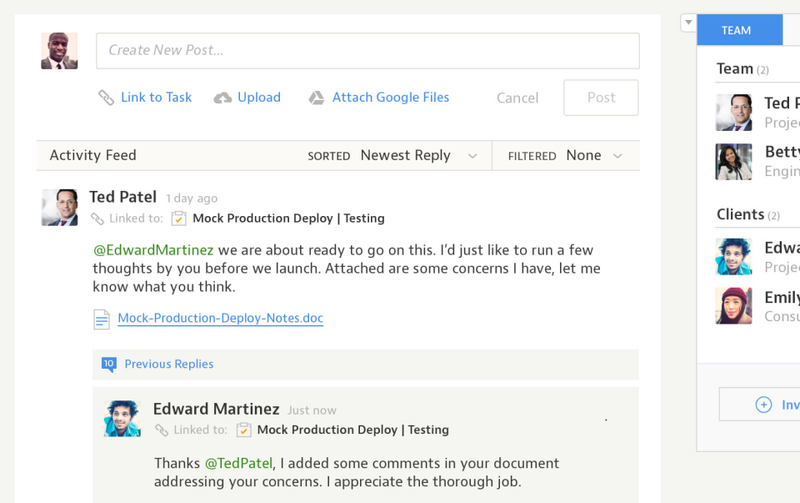 Comments: We use Mavenlink to manage dozens of concurrent project engagements across a number of development teams. I appreciate the elegance of the UI, the ease with which we were able to implement it in our organization, the flexibility and built-in reporting capabilities of the core product. Rate cards and financials integration is well done, and resource planning continues to be improved with intelligent updates. I highly recommend the Business Insights add-on; the extended reporting capabilities are well-thought-out. As important as the product capabilities are, the staff at Mavenlink are superb - Our Client Success rep is communicative, super-responsive and was exceptionally helpful when we cut over from our old tools for time tracking and task management. Pros: Excellent built-in reporting, easy to set up for all members of the team. Does a great job with task, project, and role-level budgeting and financial reporting. Cons: Doesn't retain customized views in the Gantt mode. Resource planning is good, but not quite there yet in terms of plotting multiple concurrent and projected engagements at the role level - but they're working on it. Converting estimated hours to scheduled hours works, but isn't as effortless as it could be.